This year is the 40th anniversary of The Prince Edward County Community Care for Seniors Association. The organization will celebrate its long history of helping seniors live at home at a special event on October 12th, 2017 at Rotary Hall at the Prince Edward County Community Centre. As part of these celebrations, it is profiling some of the many people who have been instrumental in its development. 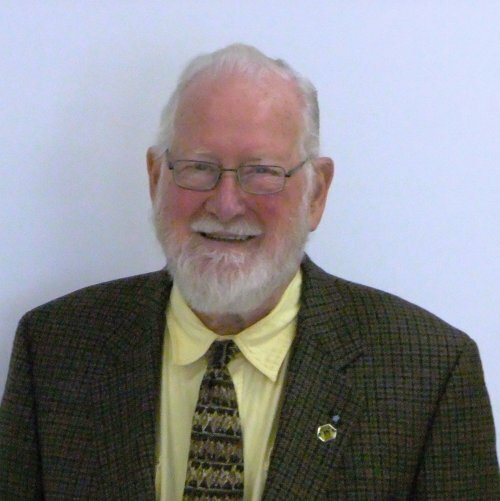 Born in 1932 in Belleville, Ralph Hall of Wellington is a treasury of memories. His grandfather worked on the railway, in tanneries and a local pottery plant. He wouldn’t let his grandson’s long curly hair be trimmed and it wasn’t until Ralph was four and his grandfather died, that he got his first haircut. His Dad was a chauffeur and worked for the Hotel Quinte for twenty - five dollars a week up until the late 1930s – “big money” in those days. He also loved cars and motorcycles - hobbies Ralph pursed as lifelong interests. His father was also a longtime volunteer in the community. With 19 years as a board member with The Prince Edward County Community Care for Seniors Association, Ralph has continued the tradition of community service he learned from his Dad at a young age. He joined the organization soon after retiring to Prince Edward County after nearly 40 years working with Ontario Hydro. Ralph rose to become a district supervisor of operations for power stations in the Toronto and Eastern Ontario regions. In 1989, Ralph and his wife Joan bought a new home in The County as Ralph prepared to retire the following year. Soon after, he began to volunteer as a driver with Community Care taking others to medical appointments, the grocery store, and on other errands. Over the years, Ralph has also become a consumer of the organization’s many services using its volunteer driving services when he has undergone medical treatments. He receives foot care every eight weeks and is a member of the agency’s telephone reassurance program with daily calls to the agency’s office to let them know he’s alright, something that became more and more important after his wife died in 2008. Ralph found that volunteering with the organization also helped him during grieving.